Alexandrite White Gold Ring with Unique 8 Prong set with 0.25 ct 4.00 mm GEM Grade Alexandrite & Diamonds in 14 karat Like a bit more bling to an affordable genuine Alexandrite gold ring? This is it! This beautiful custom made 14 karat white gold ring is graced by one of our top grade GEM grade natural Brazilian Alexandrite. The Brazilian Alexandrites are the best available on the market today. In the GEM grade, they display a superb dramatic color change from a tealish green to a vibrant pinkish purple color. You will be impressed by the degree of color change. The clarity is excellent for Alexandrite with no eye visible flaws present. This is a very unique piece of Alexandrite jewelry and could be the perfect engagement ring for anyone who wants a genuine GEM grade Alexandrite mounted in jewelry. This is a custom made ring and it is made to order. Please allow 10-14 days for delivery. Alexandrite is a unique and wondrous gemstone. It�s miraculous color changing property � from green to reddish purple depending on the light�makes it unique and extremely desirable for jewelry. When you consider the fact that you get two beautiful gemstone colors in one, Alexandrite Gemstone Jewelry is definitely a worthwhile purchase. 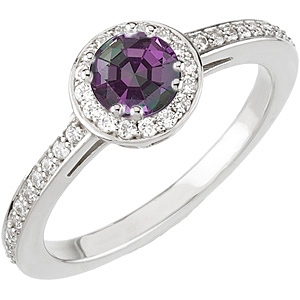 Our amazing selection of gemstone rings and pendants bring out the true beauty of Alexandrite. With its magical color changing ability, Alexandrite has always been viewed as a mystical gemstone. Throughout history, different cultures have valued Alexandrite as a stone for prophecy as well as healing. It is also thought to be very connected to the blood and many believe that Alexandrite has the power to strengthen and purify the blood. Alexandrite represents change and therefore Alexandrite has traditionally been given as gifts to people who are experiencing major life changes, such as a graduation, a big move, a marriage, a birth or a job change, with the intention that their transition should be as smooth and beautiful as the stunning colors of Alexandrite. Do you ever find yourself bored? One solution to boredom is an Alexandrite ring. All you have to do is look down at your hand and you will be immediately entertained by the stunning sparkle of Alexandrite and you will be pleasantly surprised by whatever color your stone is displaying at the moment. 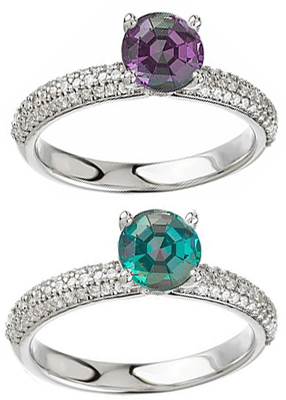 In addition to solving boredom, an Alexandrite ring is also a stunning fashion statement. You might even consider an Alexandrite ring for an engagement ring; we have an incredible selection of engagement style Alexandrite rings. Do you have a lot of purple and green colors in your closet? 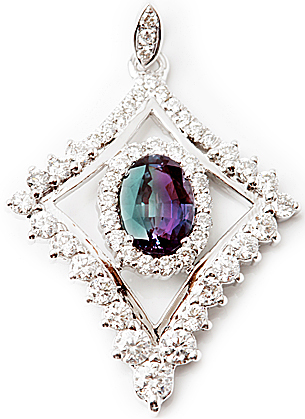 If so, and Alexandrite gemstone pendant would be the perfect match for your wardrobe. Our stunning selection of Alexandrite pendants features high quality Alexandrite gemstones in different shapes and designs to suite all tastes. Adorn your neck with this royal gemstone. 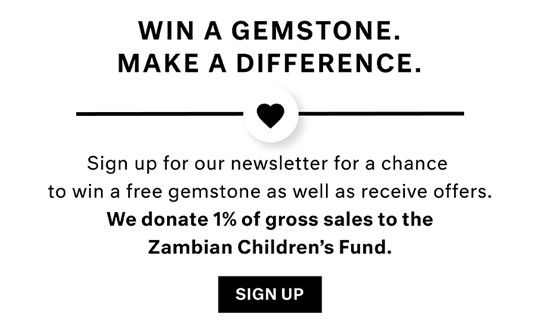 On top of all of this, there is FREE shipping on all Alexandrite jewelry. 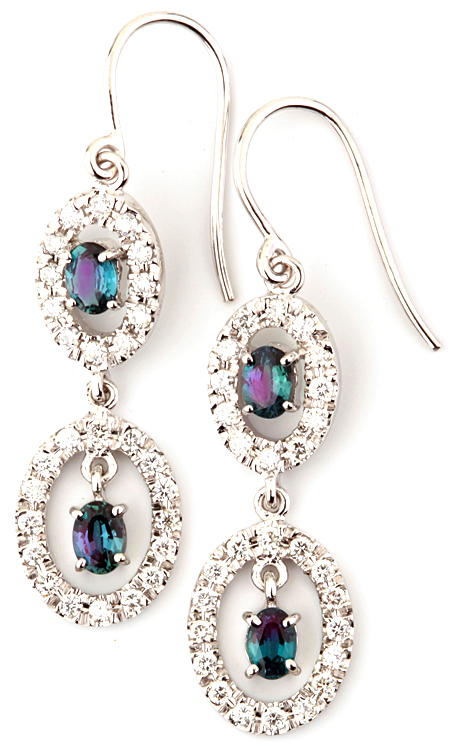 If you purchase a matching set of Alexandrite jewelry you will enjoy 15% off of the entire purchase. Trust over 28 years of gemstone jewelry experience.